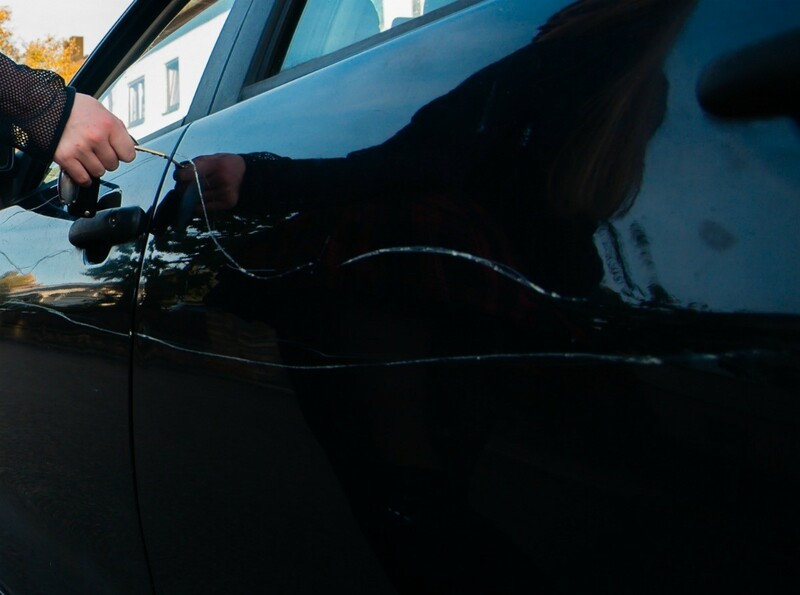 Small scratches on your car can often be repaired and buffed out to look like new. Here is how to repair scratches on a car's finish. How do I repair scratches on a black car? If you have scratches in your black paint they sell a kit to repair these scratches by Turtle Wax. This is a well-known brand name and you can try this product first. Here is what you will need to do. Go to your local automotive store and buy the Turtle Wax scratch repair kit that matches the color of paint on your car. You will need to determine the depth of the scratch on your car. If the scratch is only in the clear coat then clean the surface and dry it. However, if it is deeper you will need to buy touch up paint and use this first. Shake the color pen that is in your kit. Use the pen to fill in the scratches on your car. Once this is dry, use the sanding pads that come in the kit to sand and smooth the paint on your car. Apply the paint clarifying compound that comes in the kit. Rub the compound into the paint for one minute then buff the area to a shine. Try using black nail polish.My mother once got a scratch on my dad's new car.She used the closest colour of nail polish and he never found out. It depends on how deep the scratches are. If theyre very deep you will need a filler. If not, topical paint will do. You can get all the supplies at an auto shop.